see A Hidden Ulster pp.121-30 for detailed references and information. This is a summer song associated with the calendar customs of Bealtaine or May day. It is a partner song of Amhrán na Craoibhe (The Garland Song) in this collection. It was collected by Enrí Ó Muiríosa (AHU pp. 363-65) from Owen Byrne (AHU p 414) and Thomas Corrigan (AHU p.416) of County Monaghan. The above video, filmed in Oriel by Moira Sweeney is the Oriel version of the well known song, and sung here by Pádraigín Ní Uallacháin. The air was collected by Luke Donnellan (AHU pp.361-3) in Lough Ross, Crossmaglen from the McKeown/Hearty (AHU 392-3) family of singers. Near the Armagh/Louth border, at Kilcurry, is a small mound and on it are the ruins of an old church. With the loss of Irish as the vernacular of the people at the turn of the twentieth century, the old name of this place has been forgotten. A recently discovered handwritten map, dated 1902 has revealed some of the ancient sites in the locality. On it is the placename Beulteine, undoubtedly a site where once the old May celebrations were held. Bealtaine, pronounced Beultuine, which is the name for the month of May in Irish, originally may have meant ‘bright ﬁre’. Tradition has it that great ﬁres were lit by the communities, often on a hilltop, ‘no doubt anciently derived from a desire to encourage the sun’. It was a popular song in the southeast Ulster region with versions noted by Luke Donnellan from the McKeowns of Loughross, (AHU pp392-3), Mrs Harvessy of Clonalig,( AHU pp. 391-2), Alice Cunningham of Monaguilla, and Mrs Morgan (Sarah Mc Donald AHU p. 402) of Dromintee, all from County Armagh. Enrí Ó Muiríosa collected two versions in County Monaghan. Traditional singer Pádraigin Ní Uallacháin sourced it from Enrí Ó Muiríosa’s 1915 published version and also Luke Donnellan’s version of the air collected from the McKeown Hearty singers of Crossmaglen, a version of the air which is unique to the Oriel tradition. Ní Uallacháin first recorded it on the Gael Linn CD An Dealg Óir 2003. It is recorded on Ceoltaí Oirialla – Songs of Oriel CD 2017. Verses of this Oriel version of the summer song are being sung widely now, most notably by Iarla Ó Lionáird and The Gloaming, to the following more popular air collected by Edward Bunting in Ulster, and brought to a wider audience by Seán Ó Riada, is sung here below by Pádraigín Ní Uallacháin, and was filmed in the National Library in Dublin 2016. Before the original Oriel version of the air was discovered, Oriel singer, Eithne Ní Uallacháin set the lyrics to her own traditional composition which has since become a very popular version in the singing community. The video below is a clip of her singing, by kind permission Máirín Seoighe and copyright Dobhar Productions. Babóg na Bealtaine: Céad de Cheoltaibh Uladh 1915, 132, 339 from Owen Byrne and Thomas Corrigan, Farney. Thugamar Féin an Samhradh Linn: Donnellan Box 2,26/4 from Mick McKeown, Lough Ross. This song’s metrical form is A+C, one line and one line of refrain suggesting a summer carole that may have also been danced while singing. Additional verses may have been added through time changing some of the form to 3A+C. 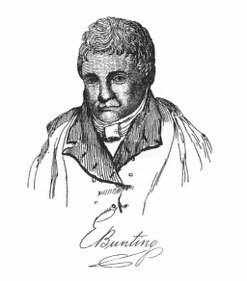 It is sung throughout Ireland to an alternative air noted by Edward Bunting (AHU pp. 372-3) in Ulster and made popular by Seán Ó Riada. The song belongs to one of the oldest song types in the Irish song tradition. The air sung in the opening video here is unique to the Oriel tradition and was transcribed from the source wax cylinder recording by Séamus Ennis.